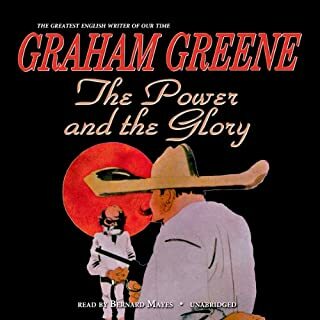 Would you consider the audio edition of The Power and the Glory to be better than the print version? Not better, but different aspects of the story were revealed. More portable. What was one of the most memorable moments of The Power and the Glory? The scene in the crowded jail cell.The cruel ambivalence of the jailer. What does Bernard Mayes bring to the story that you wouldn’t experience if you just read the book? His dialogue inflections are clarifying. I didn't just cry, I was haunted by the story for days. This story resembles what I have often observed occurring in real life. It is sad that there are not many such novels. It tells of a wayward man committed to be better than he is by nature, because he is a priest.